We recognize that when you are faced with navigating the challenges of the law, you want to arm yourself with a trusted support structure; that is, a law firm with the will to succeed and an enduring commitment to your cause. You want competence, communication, conflict mitigation; YOU want your team working for YOU! At Your Towne Law, your team is here for you! 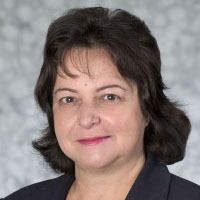 Nancy Pico Campiglia has been defending licensees before the respective Florida regulatory agencies for more than 10 years. Prior to entering private practice, she served as General Counsel of Florida’s Department of Business and Professional Regulation (the “DBPR”), which licenses and regulates nearly a million Florida businesses and professionals. There, she managed the legal affairs of the agency, providing representation for approximately 28 regulated businesses and professions, including real estate licensees, appraisers, veterinarians, accountants (“CPA”), contractors (“CILB”), cosmetologists, community association managers (“CAM”), alcoholic beverage and tobacco establishments (“AB&T”), and hotels and restaurants. She is a former chief prosecutor for the Florida Real Estate Commission (“FREC”) and the Florida Real Estate Appraisal Board (“FREAB”), and a frequent lecturer on real estate licensing related matters. In addition to licensure defense, Nancy’s practice focuses on real property development, representation of Realtors before the Realtor Association Professional Standard’s Boards, condominium, timeshare, and homeowner documentation, title closings, business law, and entrepreneur visas, such as E-2 and EB5, and related appeals. While with Florida’s Department of Business and Professional Regulation, she acted as legal counsel to the Governor’s Task Force on Homeowner Associations. In addition to serving as Acting Director of the Division of Real Estate, she headed its prosecution team. Notable client work includes the creation of residential and commercial condominiums, property owners associations, commercial and residential development, complex timeshare matters and general real estate transactions. Prior to attending law school, Nancy was a real estate broker and owner of a real estate brokerage in Miami. Florida Jurisprudence has designated her publication, Florida Real Estate License Law: Who is Protecting the Public, as a practice aid for several consecutive years. Nancy prides herself in giving back to the community. She documented a condominium complex for Habitat for Humanity, is a past president of the Christian Service Center, former director of the Central Florida Real Estate Council and of the National Association of Hispanic Real Estate Professionals. She is a frequent lecturer at Realtor Associations and related organizations. Nancy holds a Masters in Law in Real Property Development from the University of Miami School of Law (LLM 1999). She received the degree of Juris Doctor from St. Thomas University School of Law (J.D., 1998), where she was Editor-in-Chief of the Law Review, a member of the International Moot Court, and a dedicated volunteer of the Human Rights Institute, where she assisted in the development, research, and filing of asylum cases. Nancy received a Bachelor of Arts degree from the Florida State University (1976). She is admitted to practice before The Florida Bar, Northern, Middle, and Southern Districts of Florida. Under certain circumstances the DBPR may reclassify a violation as inactive, it will no longer be considered to be part of the licensee’s disciplinary record, and the licensee may lawfully deny or fail to acknowledge the incident as a disciplinary action. Conflict resolution. We are your team. At Your Towne Law, your team thrives on the satisfaction that comes from improving people’s lives. At Your Towne Law, conflict resolution is our calling, and we are your team, here for you. If you have not yet retained the services of an attorney, we welcome the opportunity to discuss your legal needs, our ability to assist you, and our fees. We welcome your call or e-mail. When first contacting us, we ask that you provide the name of the party to whom you are adverse before revealing any information regarding your case. This will allow us to perform a review of our records to avoid any legal or business conflicts. Please understand that (1) we cannot represent you until we have ascertained that doing so will not create a conflict of interest; and (2) we cannot treat unsolicited information as confidential. 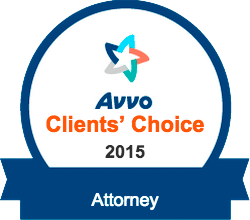 The best way for you to initiate representation is to call for a consultation with one of our attorneys. Our dedicated staff will take you through our conflict of interest process and see that you are put in touch with the lawyer best suited to handle your needs. When you agree in writing to the terms contained in an engagement letter from that lawyer, you will be our client, and we may then exchange information freely. Your Towne Law, P.A. is conveniently located in Central Florida, in the heart of Orlando/Orange County and just minutes from Seminole and Osceola Counties, via 441 or I-4, in the Central Florida Commercial Park.